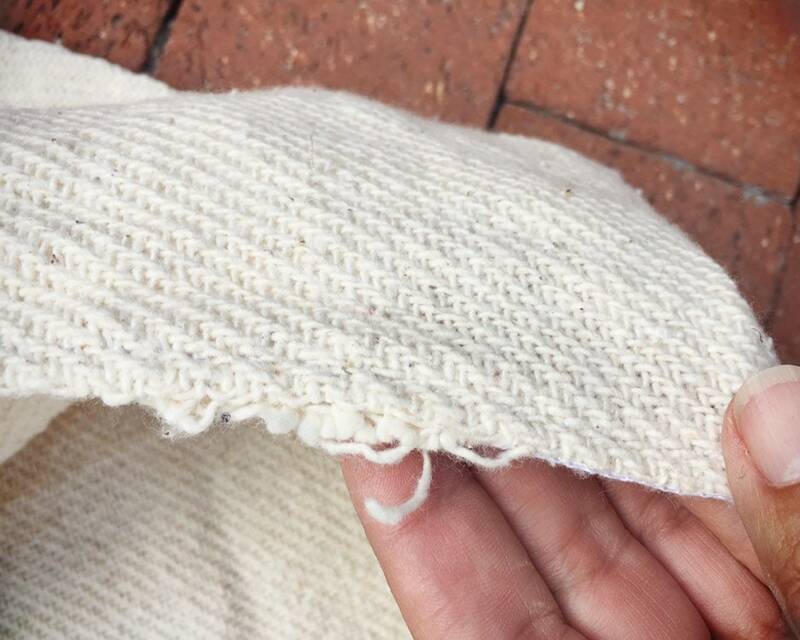 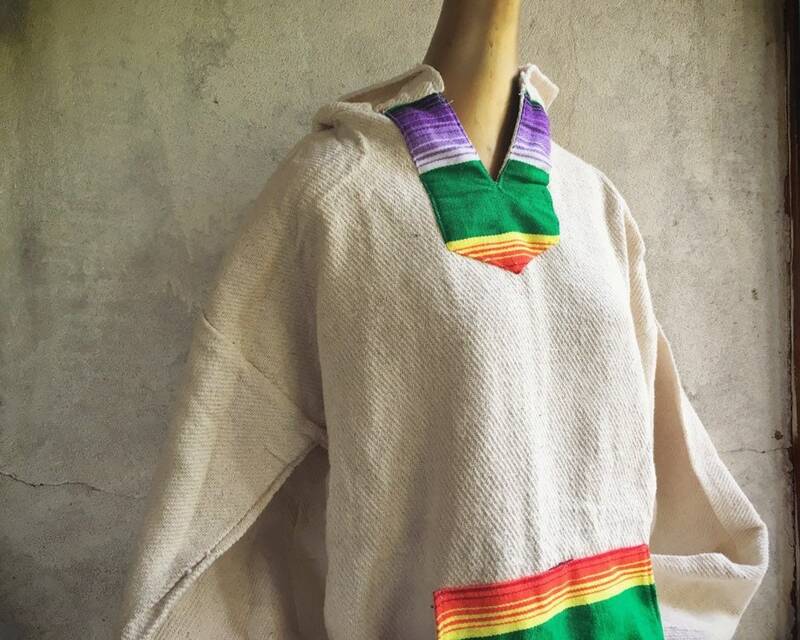 Here we have a Mexican pullover with hood made from the same woven material used for falsa blankets. 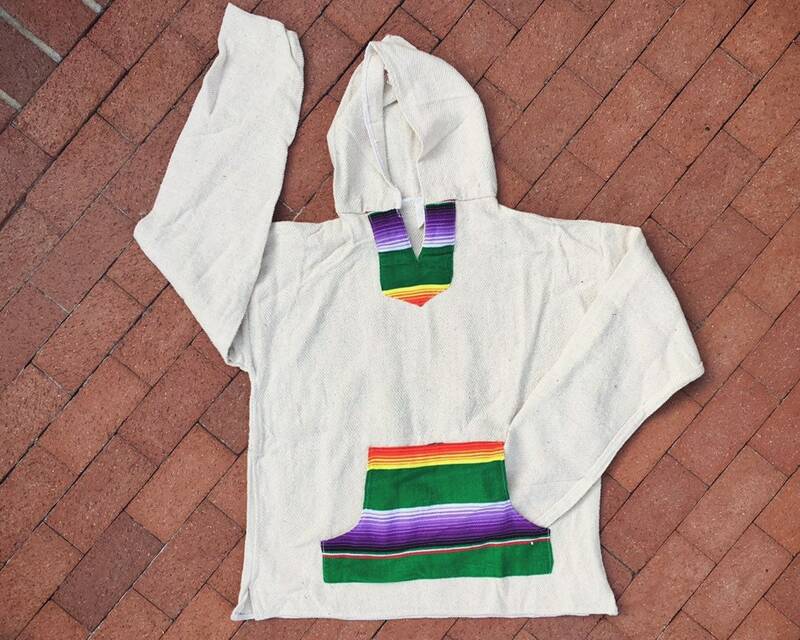 This came with a lot of "dead stock" that was from the 1990s. 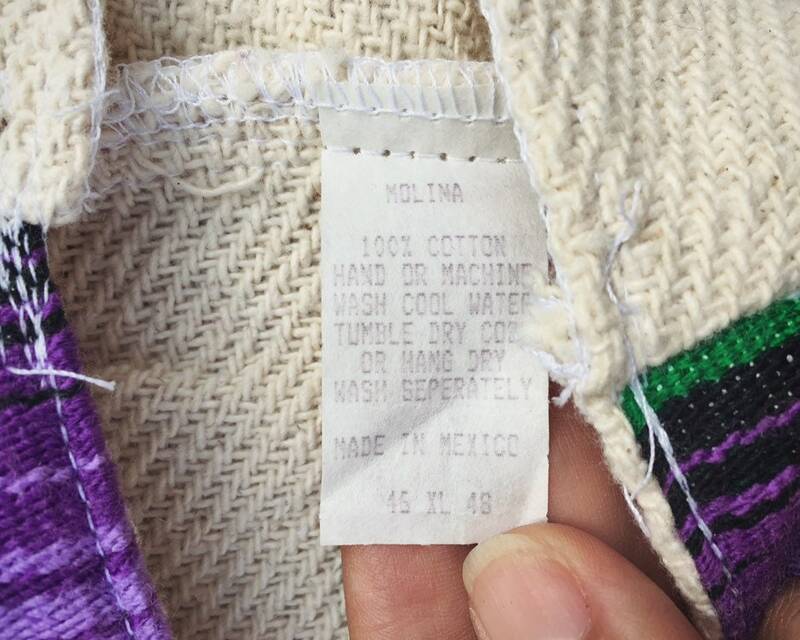 We can see from the fading of the tag that it is older, yet it has never been worn. 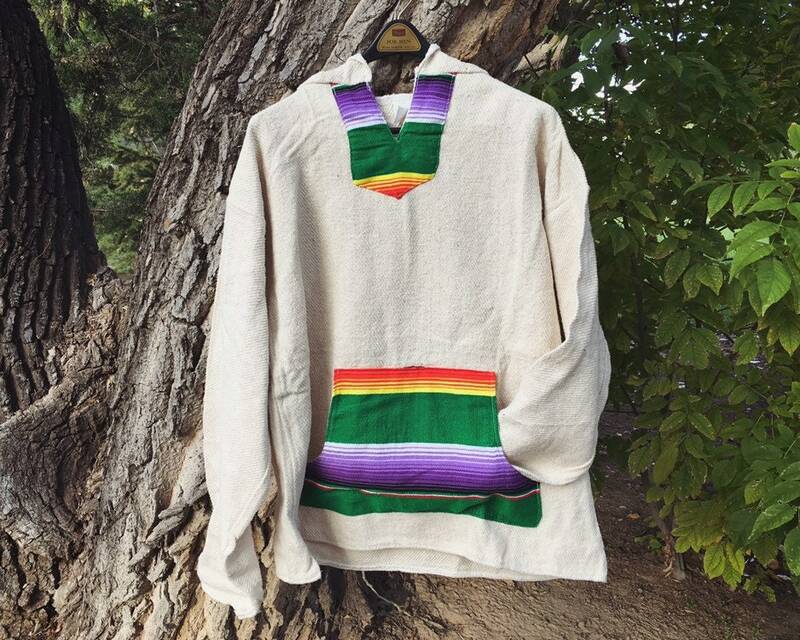 Nowadays, many of these style of pullovers are made in India, but this one is authentic Mexican. 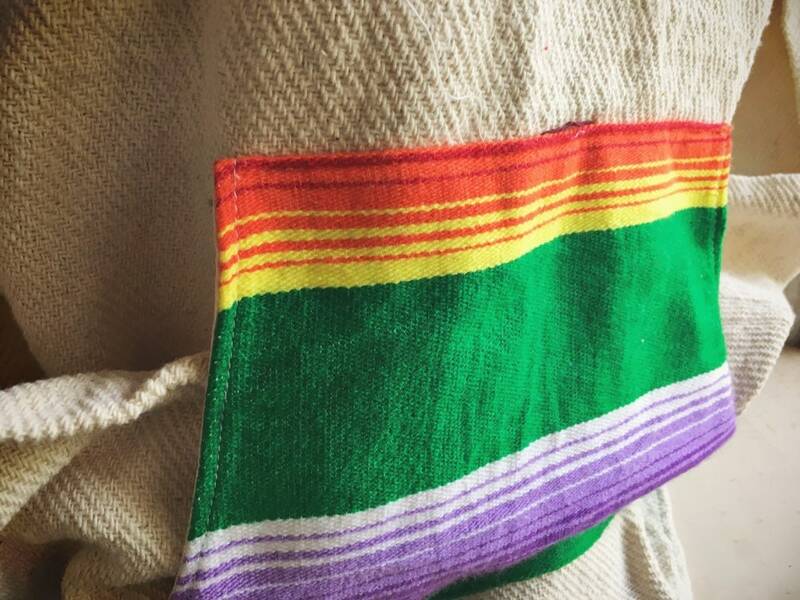 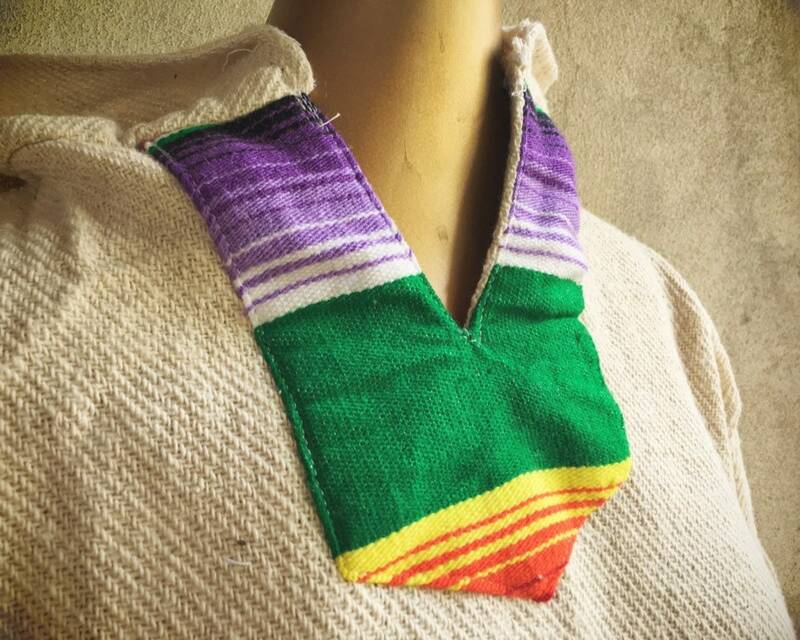 What drew me to it was the use of serape material for the front pocket and neckline. 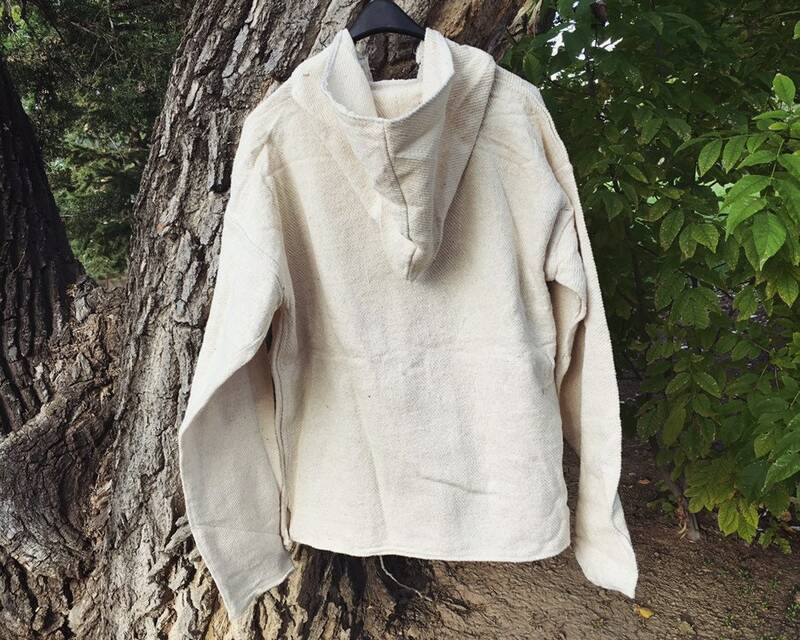 A great piece to wear during crisp fall days, and even a nice weight for those who want extra warmth in winter indoors, or who want not so much warmth in winter while outdoors. 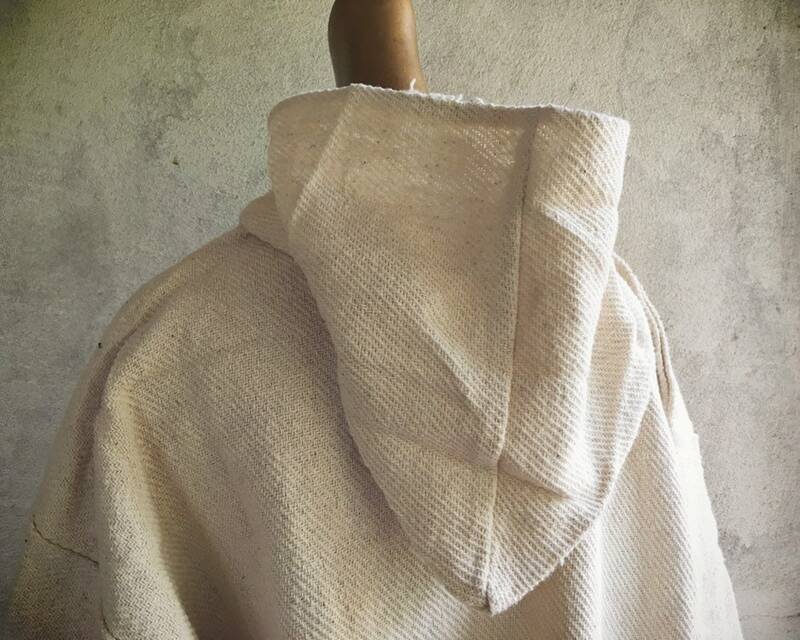 Side to side when laid flat: just under 25"
Shoulder to bottom hem: about 27"